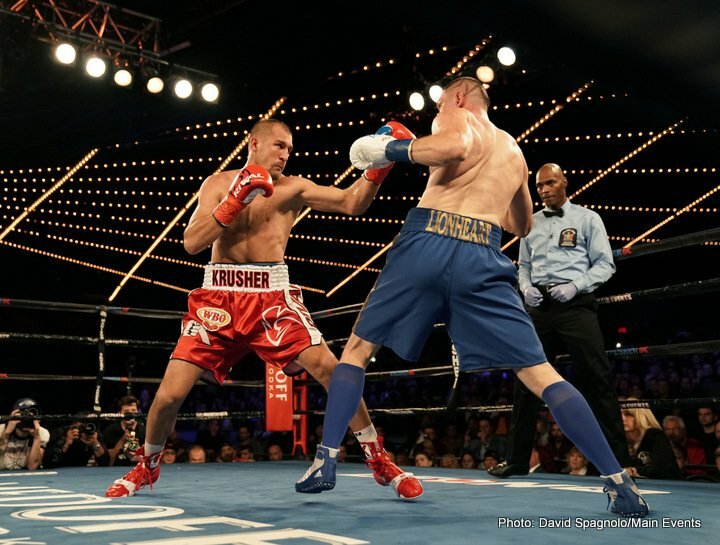 “Krusher” is back; Kovalev destroys Shabranskyy – Beterbiev, Bivol, Stevenson next? Once the most feared man in the light-heavyweight division, Sergey Kovalev went at least a little ways towards regaining that status last night in New York. 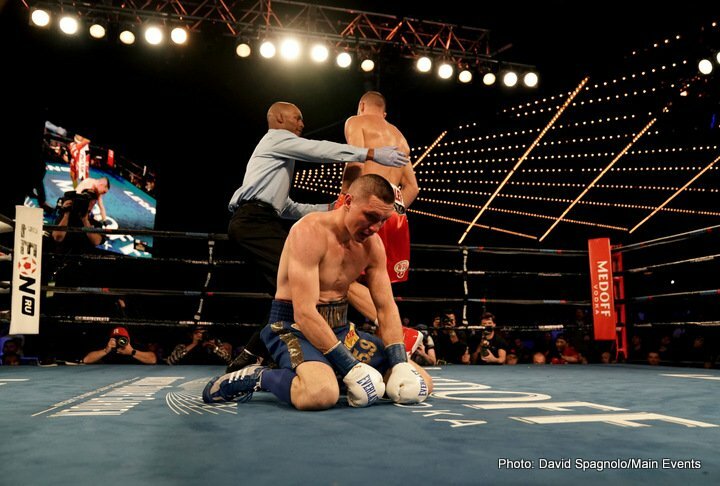 In totally destroying the decent if not great Vyacheslav Shabranskyy inside two short rounds, “Krusher” regained a portion of the belts he lost to Andre Ward (the Russian dropping a controversial decision to the now-retired Ward last year and being stopped in this year’s return fight). Now the WBO champ once again, Kovalev, 31-2-1(27) has the regained confidence needed to be able to call out the other big guns of the division; which he most certainly did after last night’s crushing win. Kovalev regained the WBO belt (which was made vacant upon Ward’s somewhat surprising decision to call it quits and retire), Adonis Stevenson holds, and has held for some time, the WBC crown, Dmitry Bivol is the current WBA ruler and Artur Beterbiev, perhaps an even harder puncher than Kovalev when it comes to a single shot, is the IBF boss. As Kovalev alluded to, there are some potentially great match-ups that can be made from the four rival champions. Kovalev wants to fight the rival champs, let’s hope Stevenson, Bivol and Beterbiev share the same frame of mind. A Kovalev-Beterbiev clash would in all likelihood be just plain nasty (with a guaranteed KO one way or the other), while Kovalev-Stevenson is a fight we have all been waiting for for years. As for Bivol, some good judges feel he could be the next star of the all of a sudden red-hot 175 pound division. It’s going to be fun finding out who really is top dog. You are here: Home / Boxing News / “Krusher” is back; Kovalev destroys Shabranskyy – Beterbiev, Bivol, Stevenson next?